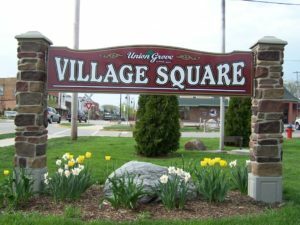 All elections in the Village of Union Grove are held at the Union Grove Municipal Center, 925 15th Ave. Polls are open from 7 a.m. to 8 p.m. The Spring Election is held annually on the first Tuesday in April, with a primary (if necessary) on the third Tuesday in February. Fall Elections are held on even-numbered years on the first Tuesday in November, with a primary on the second Tuesday in August. Register or re-register to vote online at http://myvote.wi.gov. You can also check voter registration status at this website by entering your name and date of birth. Effective January 9, 2017 – eligible voters who hold a valid State of Wisconsin Driver License or State ID Card (WI DL/ID) that has their current name and address on file with the Wisconsin Department of Motor Vehicles (WI DMV) can complete the registration entirely online. If the voter is not able to match their information with the WI DMV records, then registration must be completed by submitting the registration form and proof of residence with the village clerk. Available on the Racine County Elections website at http://racinecounty.com/government/county-clerk/election-information/election-results. Interested in serving the Village as an elected Village trustee or judge? Click here for information on how to get on the ballot. We could always use more community-minded residents to assist at the polls on Election Day. For more information on how to serve as a poll worker, contact the Village Clerk at 262-878-1818.